The Magix hose range are made from high-quality, medical grade silicone, comprised of flexible yet rigid and soft build, thickened silicone walls and a large diameter for those large, non-ghosting draws that we all love. This model comes a solid, long aluminium handle and grip for that sleek feel. 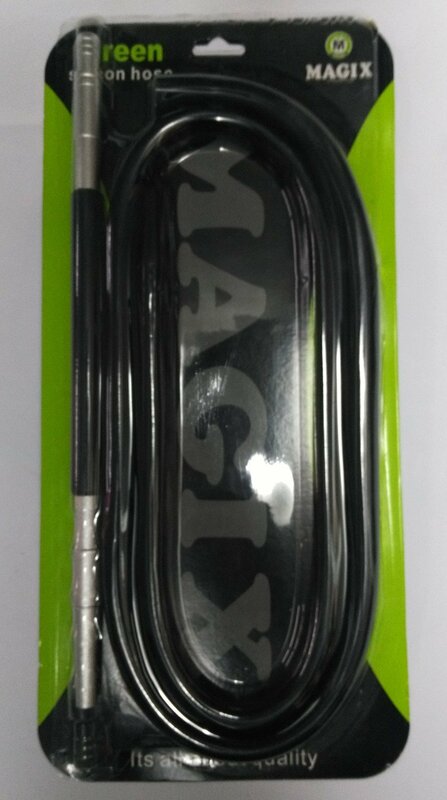 The Other variant is the Magix Silicone hose with glass mouth piece.